The Carry from EuroSystems is a petrol driven wheelbarrow designed to take the strain and effort out of moving garden waste and other heavy materials. 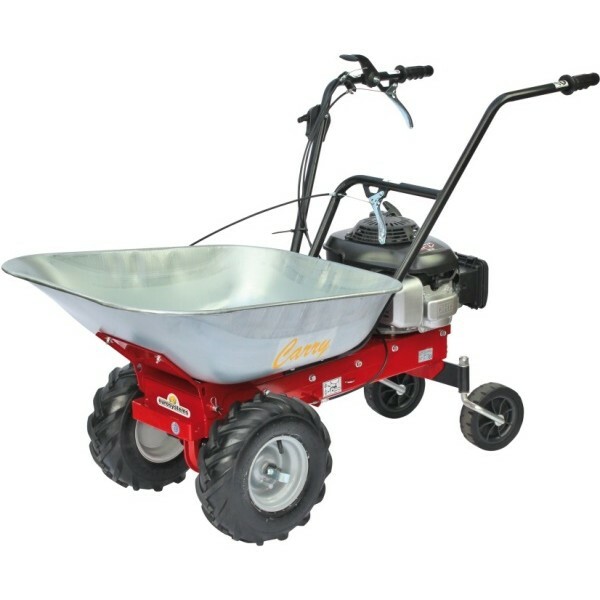 The Carry features a generous 100kg load capacity, carried in its 85 litre galvanised tray with tipping gear powered by a Honda GVC135 engine, one front and one reverse speed and an automatic brake stopping system. The Carry is the perfect support system for all kinds of jobs around the garden or yard.